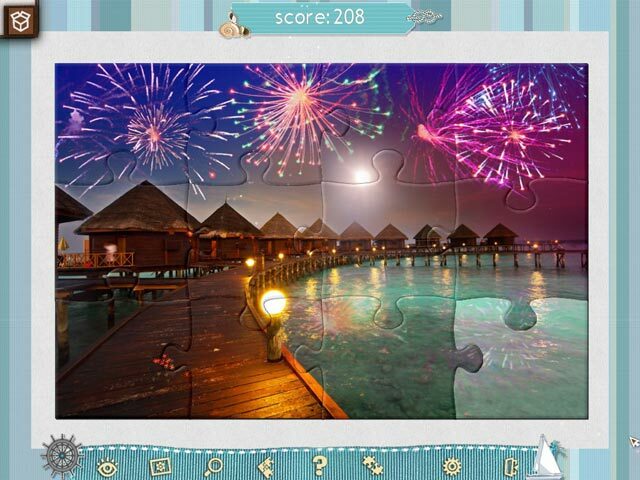 Jigsaw Puzzle Beach Season is rated 3.8 out of 5 by 6. Rated 5 out of 5 by upsysydaisy from We Need More Jigsaws!! I am always so excited when a new jigsaw comes along. This one is very nice, the pictures are so bright and bursting with color! I just wish we could keep our finished puzzles if so desired. Upon completion, they disappear in mere seconds and are gone forever without being able to enjoy our finished "art piece". 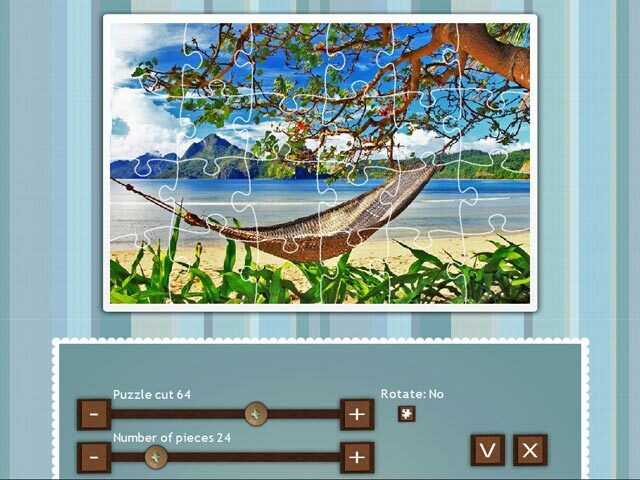 The best puzzles, for me, are nature, animals, landscapes, oceanic. Posed pictures, food, people are not very interesting so there are many puzzles I just skip. What I like is the ability to change the shape of the pieces and increase the number of pieces for greater challenge. Would love to see these fun puzzles come to us more often. Rated 5 out of 5 by pennmom36 from AWESOME PICTURES Let's face it, if the pictures aren't interesting the puzzles are worthless. Fortunately, these pictures are really interesting, I especially loved the underwater pictures which have such vivid beautiful colors, which makes me wonder why they don't allow you to set the finished puzzle pictures as wallpapers? Not much has changed as far as the features go, there are 5 different puzzle groups, Nature, Gaiety, Food, Shopping and Romance, each box has 100 different puzzles for a total of 500 puzzles. You can Ghost the image on the background or hang a picture with 3 different sizes, and you can change the resolution and the background colors, green, pink, blue or gray. There is a Box to store extra pieces in, and you can Sort the pieces into the general location, and choose just Border pieces. There is a Magnifying Glass and a Hint feature as well as a Top Score tracker. My favorite feature is Modify which allows you to modify the number of pieces, the shape of the puzzle pieces and whether or not you want the pieces to rotate. I use the Modify feature with every puzzle so I can choose how many pieces I want to assemble. I am still working on my last purchased puzzle game which is 1001 Earth Jigsaw Puzzles, which has pictures that I like most, animals birds and nature landscapes. 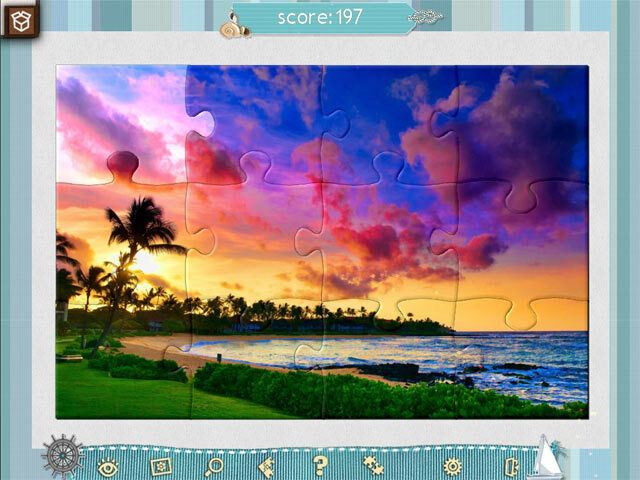 This game however has awesome pictures that won't disappoint fellow puzzle geeks, enjoy! Rated 4 out of 5 by Kimmycoo from Desktop The only thing that ever stops me from buying these games, is that I have this want for more. After putting together beautiful scenes, I want to keep them. I wish developers would allow the player to be able to use each scene as a desktop background. If this were the case, I would purchase. This game is a lot of fun but after I put them together, I dont feel a sense of accomplishment. Being able to keep it by downloading the images would allow me to feel this. Or if there was a way to have only certain images that we could keep, then that would be fantastic. Similar to what you would get in a collectors edition on a HOG. I just have a sense of wanting more when I play these. Even when your finished with a scene, you cant sit and marvel at them, they disappear right after you finish them. Rated 1 out of 5 by bookishwonder from If you like Jigsaws Galore, this is nothing like it... 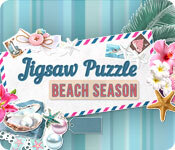 While the pictures are nice in Jigsaw Puzzle Beach Season, the format is so limited it's boring. Who wants all the pieces turned the same direction? I love the trays of Jigsaws Galore much better which allow one to sort, rotate, resort, arrange by piece shape (or not), resort. Absolutely hate the sparkles in Beach, and the fact the pieces don't snap together but rather flash and pulse when they fit together (no way to set snap distance). I played three puzzles and deleted this game completely...not even worth playing for free. If this game were more like Jigsaws Galore, I'd be very happy to recommend. Sadly...not even close.